Chicago Review Press, 9781613744611, 144pp. Have you ever wondered what it’s like to live and work in the most important house in the country, or what it’s like to grow up there? Now, with The White House for Kids as your guide, you can explore the Executive Mansion for yourself. This intriguing, in-depth history of the White House explains its role as a home, an office, and a powerful symbol of the United States and tells both famous and little-known stories about some of the surprising—and sometimes surprisingly ordinary—things that go on there. 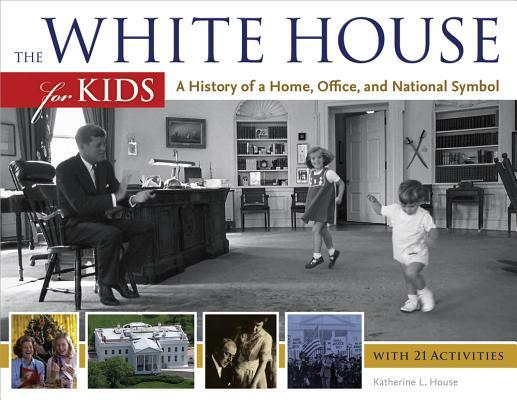 Learn which president hosted T-ball games on the White House lawn; which mischievous first son was scolded for shooting spitballs at a portrait of President Andrew Jackson; which first daughter held her high school prom in the famous mansion; which first lady hung her laundry to dry in the East Room; where first families go to work, entertain, relax, and have fun; how the White House staff feels to see beloved presidential families come and go; and much more. Crosscurricular activities allow readers to walk in the footsteps of presidents and those around them. Katherine House was born in Washington, DC, and grew up in nearby Arlington, Virginia. She is the author of Lighthouses for Kids and has written articles about US and Iowa history for children’s magazines including AppleSeeds, Cobblestone, and the Goldfinch.